When I was just starting out as a dog trainer, I felt like I was constantly jotting down dog training tips. The trainers at Canis Major Dog Training in Denver and All Breed Rescue and Training in Colorado Springs just had so much wisdom to share. Now that I’m a professional animal trainer and dog behavior consultant, I still feel like there’s so much to learn. I spend my walks and runs with Barley listening to podcasts from other dog training experts – my favorites are the Animal Training Academy Podcast, Drinking from the Toilet, Fenzi Dogsports Academy, and Cog-Dog Radio. The dog training tips just keep coming, and I decided to share them here with you. But rather than just telling you about the best dog training tips I’ve ever heard, I decided to reach out the general International Association of Animal Behavior Consultants member forum. These are some of the smartest and most talented dog trainers, cat trainers, parrot trainers, and horse trainers on the planet. Here are the best dog training tips that they’ve ever heard. 1. “There is no one right answer for every dog, every situation, every issue. 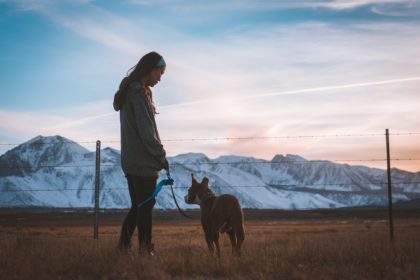 Be aware that you’re dealing with a unique individual, and so is your dog.” – Marjie Alonso, director of the International Association of Animal Behavior Consultants. This is a great reminder that there really isn’t a ten-step program to fix a behavior problem. What helps fix one dog’s issue may not work in the next dog’s family. Behavior and solutions are fluid. That’s part of the reason that Journey Dog Training offers one-on-one training to owners all around the world – we firmly believe that every owner has the right (and need) to get their case viewed personally, rather than just following the steps of a program. 2. “Observe the dog in front of you.” – Breanna Norris, Canine Insights LLC in central Maine. This ties in nicely with #1 – it’s easy to assume that dogs that bark all need a certain training solution, or to think that all labs love water. Your dog’s desires, focus, and struggles will change from day to day. Assuming that your dog wants or needs something is a dangerous road to travel down without evidence. Use your observational skills to be a successful dog trainer. 3. “Reward good choices.” – Caitlin Coberly, Kate’s Dogs in Lebanon, Oregon. It’s really that easy! If we all spent more time rewarding our dogs for good behavior and setting them up to do more of it, our lives with dogs would be much easier (and more fun). 4. “Today isn’t forever, breath through it and think/plan about it later.” – Emily Rogeness, Em4Dogs in Wilbraham, Massachusetts. It’s easy to feel like everything is falling apart – especially after your dog steals the 10,000th thing from your counter (I’ve been there) or otherwise disappoints you. This quote is a great reminder to breathe and reframe it. You can make a plan for how to fix it later – just get through whatever it is right now. 5. “The learner is never wrong.” – Karen Reese, Dallas Dog Love in Dallas, Texas. Oh, this one can sting sometimes! Just remember that if your dog isn’t “getting” what you’re working on, it’s probably because you’re doing something wrong. This isn’t meant to shame or blame you – it ‘s just a reminder that as the instructor (and the one with the opposable thumbs) it’s your job to help your dog understand. As Canis Major trainers pointed out in their article on puppy training myths, your dog isn’t being stubborn or dominant if your training session is falling apart. Take a deep breath, take a step back, and see what you can do to fix the training situation. Your dog isn’t wrong, the training just isn’t right yet. 6. 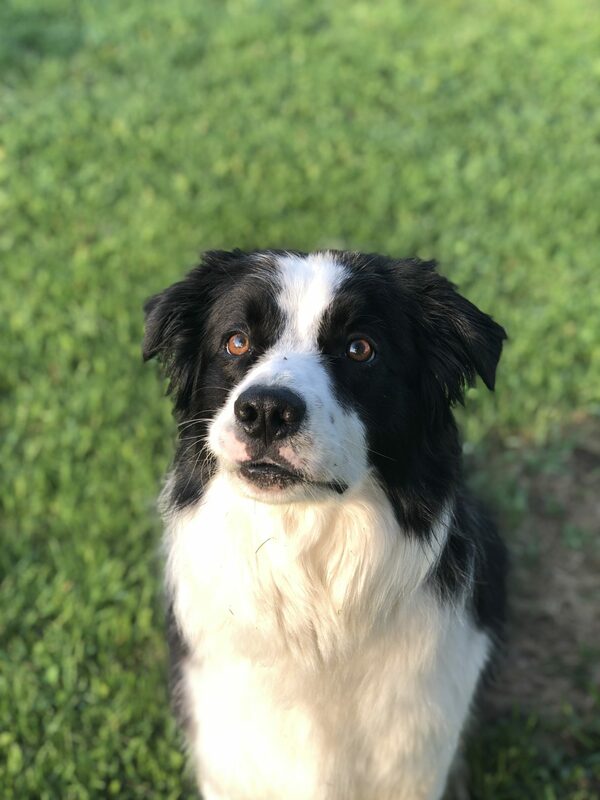 “Any time you are with your dog, one of you is training the other” – Steve White’s quote, a favorite of Trish McMillan, Loehr Animal Behavior in Weaverville, North Carolina. Just remember this one and remember #3, and you’ll be ok soon. Try to keep your “dog trainer hat” handy whenever you’re with your dog because he’s always watching and learning from you. 7. “Win or lose, don’t lose sight of why you’re here. Regardless of what your score is in the ring today, you get to go home tonight with the best dog.” – Sarah Reusche, remembering a quote from a judge early in her competition career. Sarah owns PawsAbilities in southeast Minnesota. Ok, if you were feeling a bit overwhelmed after the last few quotes, just remember this one. You’ve got the best dog, we all know that. It’s just that we all have the best dogs, too. 8. “It’s not personal, it’s just behavior.” – Sarah Dixon from Instinct Dog Training in New York City. This can be hard to remember when you’re really struggling with your dog. It ties in well with #11 – your dog isn’t being malicious or devious, he’s just behaving in the way that makes sense to him at that moment. Don’t take it personally. 9. “If you don’t trust your dog, he doesn’t trust you either.” – Steve Shope, a favorite quote of Sarah Dixon’s. Yeah, yeah. We gave Sarah two because they’re both so good! This is especially applicable to off-leash skills! Building up trust between you and your dog will help both ends of the leash. 10. “If you don’t train your dog, the environment will.” – Dae Grodin, owner of Dog Abilities in northern Kentucky. Your dog is always learning. Whether we like it or not, we’ve got to figure out how to make time to train our dogs – otherwise our neighbor’s rowdy kids, the cars driving by, and that jerk dog down the street will teach your dog their own lessons! 11. “It’s all information. Even if things don’t go as planned, there’s always a learning experience in there.” – Malena DeMartini-Price, a quote that Shannon Thier of K-949 in southern California loves. There’s a bit of a meditative theme going on here, isn’t there? A lot of dog training is remembering to take a step back and breathe, rather than reacting emotionally. There’s no room for egos or explosions when we’ve got dogs to train! 12. “Fix the problem, not the symptoms.” – Suz Wiebe. It’s easy to get caught up on the intricacies of what’s wrong with your dog. Rather than trying to put out a bunch of little fires, focus on the root of your dog’s behavior concerns. 13. “Your dog is not giving you a hard time. He’s having a hard time.” – Sarah Babcock of the Richmond SPCA. Remember that if your dog is behaving poorly, it’s probably either because of a lapse in training, or an emotional difficulty for your dog. Try not to take it so personally, and instead focus on trying to make your dog’s life a bit easier in that moment. 14. “It’s only reinforcement if the learner finds it reinforcing.” – Sarah Bond of Bond Dog Training near Austin, Texas. If you reward your dog with a treat and he doesn’t eat it, you haven’t properly reinforced the behavior. It’s that simple. Since, as Susan Friedman says, “Behavior is the study of one,” you have to always pay attention to what your dog wants in that moment. Avoid the cookie-cutter approach! 15. “A problem well-put is a half-solved.” – John Dewey, a favorite quote of Breanna Norris’s from Canine Insights in central Maine. We gave Breanna two as well, since they’re both so relevant! It’s hard to fix a problem if you can’t articulate what’s going on. Be clear about what your training goals are (and what problem they’ll solve), and you’re halfway there. 16. “Training frequency is more important than duration” – Meg Marrs, K9 of Mine. We often think that our training sessions have to be an hour long to work – and we get scared. We don’t have that much time! In fact, dog training actually often goes more smoothly if you work in micro training sessions. Professional dog trainers often train their dogs while their food is in the microwave or while they’re on hold. It’s all about finding those small moments, rather than trying to carve out hours in a busy schedule. I hope you enjoyed my list of the best dog training tips dog trainers have ever heard. I’d love to keep adding to this list, so please comment with your own favorites below!